Column: What makes a good witness? You’ve been summoned by court order to testify. You step into an unfamiliar place — a courtroom. You swear on the Bible to tell the truth, the whole truth, and nothing but the truth. You are required to answer a battery of questions in front of a judge, a bailiff, a court reporter, the prosecutor, the defense attorney, the defendant, and 12 to 14 people you don’t know. Oh, and by the way, there may be media present with cameras just waiting to record every word you say. Sounds like a great time, right (insert sarcasm here)? Uncomfortable as it may be, testifying in court is necessary to our judicial system. During any trial, the prosecutor wants to make sure the information the witness knows is clearly transmitted to the jury, and the defense attorney wants to undercut the testimony to minimize the impact. Either way, what is said (and how it’s said) is of the utmost importance. Jurors are charged with examining the answers given. Down to every detail, they will analyze not only the data, but body language, tone, facial expressions, and even the clothes you wear in order to make an informed decision on whether or not they believe you. It’s a little nerve-wracking to say the least, which is why prosecutors and defense attorneys alike meet with witnesses beforehand to prepare. So what makes a good witness? The number one answer is truth. Sometimes the truth is painful. Sometimes the truth is embarrassing. Sometimes the witness is afraid the truth will hurt the case. The one consistency for every embarrassing and painful truth is that the witness can never be tripped up by it later — not even by the best defense attorney. Further, even when the answer is “I don’t know,” or “I don’t remember,” if it’s the truth, it can be the best answer. What other factors make a good witness? A good witness will not argue with any attorney, regardless of which side they represent. They will answer questions respectfully and honestly even if the answer is uncomfortable. Sometimes this means admitting wrongdoing or admitting they should have taken action when they did not. Mistakes can be hard to own up to, but remember, it’s always best to tell the truth. A witness who attempts to skirt a question (to avoid embarrassment) can come off as withholding information. The jury may now consider this witness untrustworthy or even someone who is lying under oath. A good witness will not try to entertain the judge, jury, or other people in the courtroom. They will answer questions without making jokes. I understand humor may be a self defense mechanism, but a jury — none of whom know the witness, will see a person not respecting their time, and not taking a serious situation seriously. A good witness listens carefully to the question asked and answers only that question. Most people are nervous about testifying, and sometimes the questions don’t fully register. If that happens, a good witness will ask to have the question repeated. The not-so-good witness will answer the question they think was asked, which can have disastrous results. Similarly, a good witness will wait until the question is completely stated before answering in order to avoid offering unsolicited information. A good rule of thumb is to take a moment to breathe and think before answering. That way the information needed in the moment is provided, and attorneys have the opportunity to ask follow up questions in order to obtain additional information at the appropriate time. How is the witness dressed? I used to tell witnesses to dress in their Sunday clothes, but now I recommend nice clothes. I also suggest dressing in layers because it could be very hot or very cold inside the courtroom. If a person is particularly nervous, they themselves may be very hot or very cold, in which case the option of layers is also a plus. Finally — if a young woman wears revealing clothes, if a young man wears baggy pants (imagine trousers falling down as a person walks to the stand), the jury will notice. Like it or not, a person’s attire may have an impact on their perceived credibility. Throughout the years, I’ve dealt with many witnesses — and many juries. Just as every jury is different, every witness is just as varied. They may be cooperative or uncooperative, open or standoffish. As witnesses process the situation they’re in, the facts of their case, the anxiety-inducing experience of taking the stand … they themselves may not know how they will react in court until they’re there. I respect that. I understand that. Yes, I have a job to do. My office is dedicated to protecting the community and holding criminals accountable. The other side of that is working with victims of crime, preserving their dignity and being sensitive in what can feel like an overwhelming courtroom environment. Let us (the attorneys on both sides) worry about the intricacies of the law and the process. For those witnesses taking the stand, you have a lot on your mind, and we get that. We don’t expect perfection. Just take a deep breath, be in the moment, and do your best. 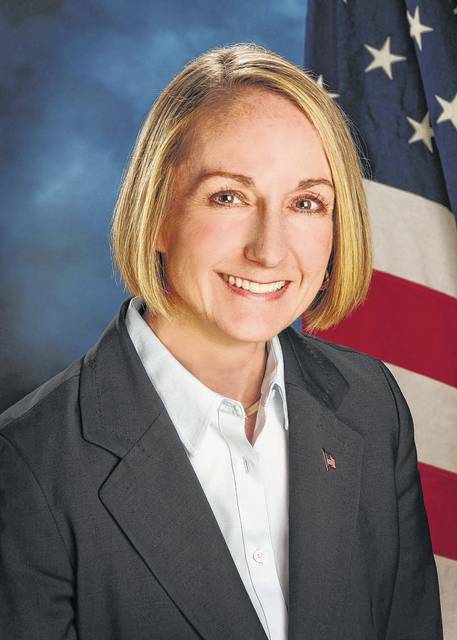 Carol O’Brien is the Delaware County Prosecuting Attorney.